Sunset Ridge Jefferson is an assisted living home located in Jefferson, WI, that specializes in providing care and senior housing for individuals who suffer from types of Dementia and Alzheimer’s as well as advanced age. Sunset Ridge Jefferson believes in providing our residents with high quality compassionate care. We strive to enhance the quality of life, preserve one’s dignity, and meet social and emotional needs of each individual. By working together with family members, health professionals, and our care team, we can provide the best care possible for your loved ones. 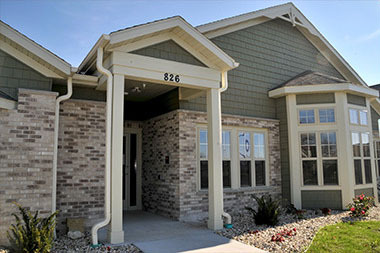 Sunset Ridge Jefferson - providing quality elderly care with a family oriented, assisted senior living community.